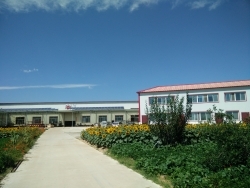 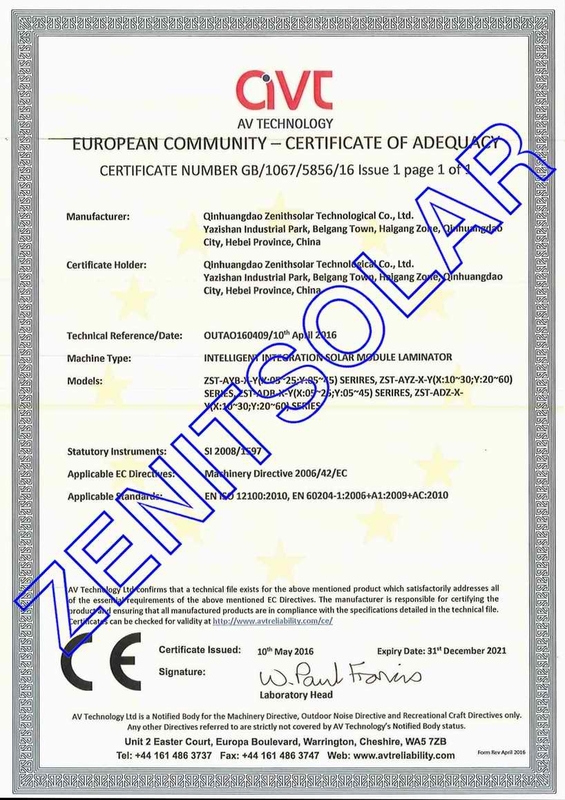 Qinhuangdao Zenithsolar Technological Co., Ltd. 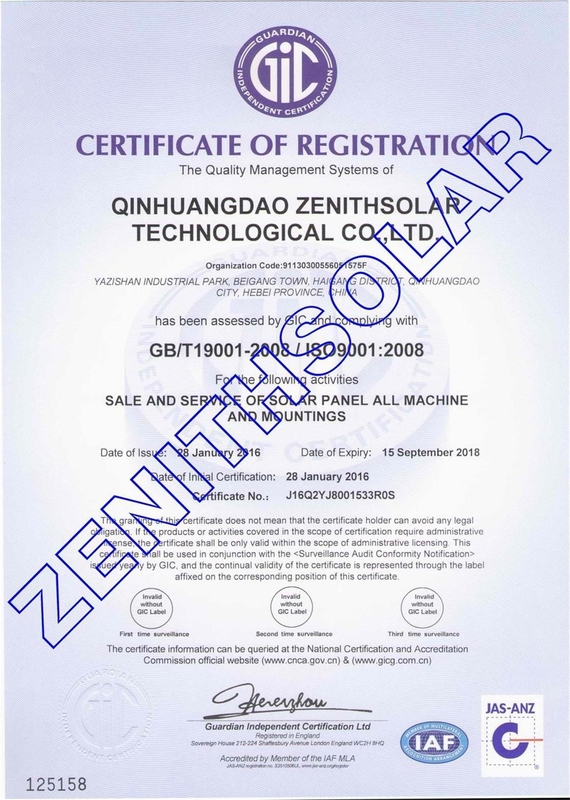 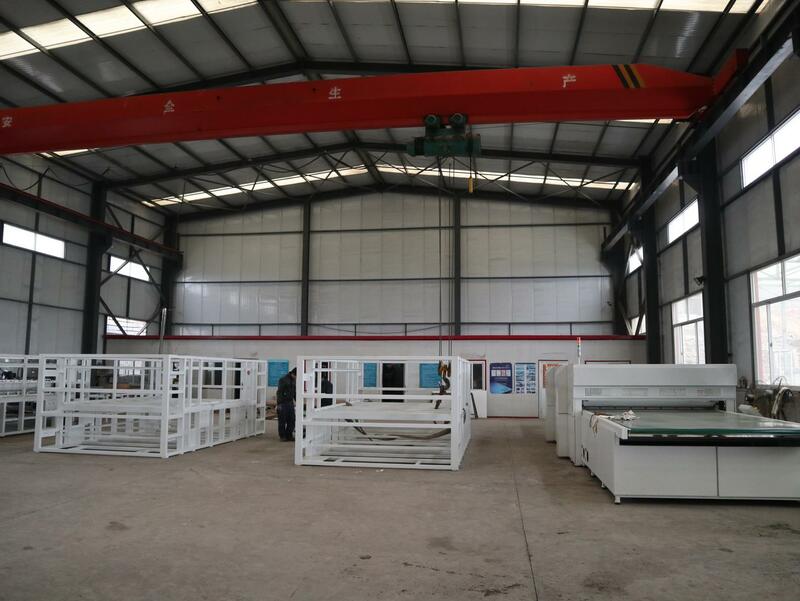 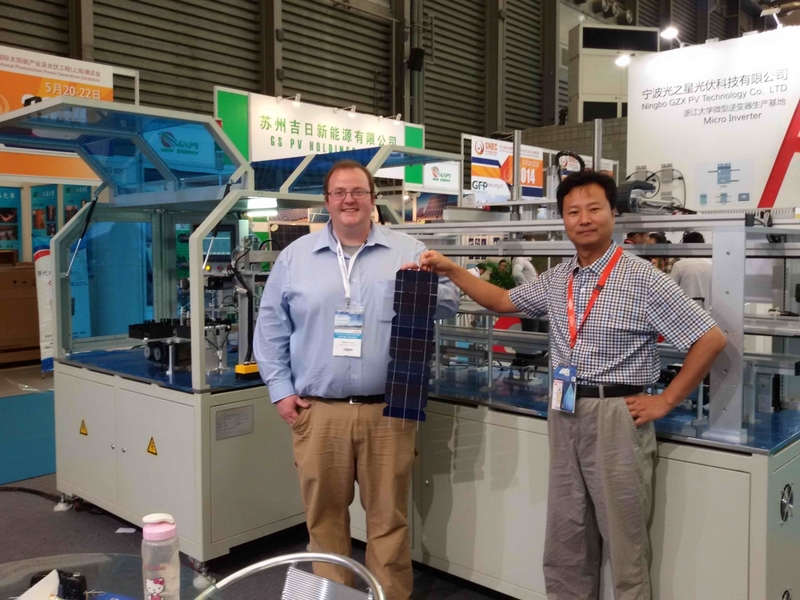 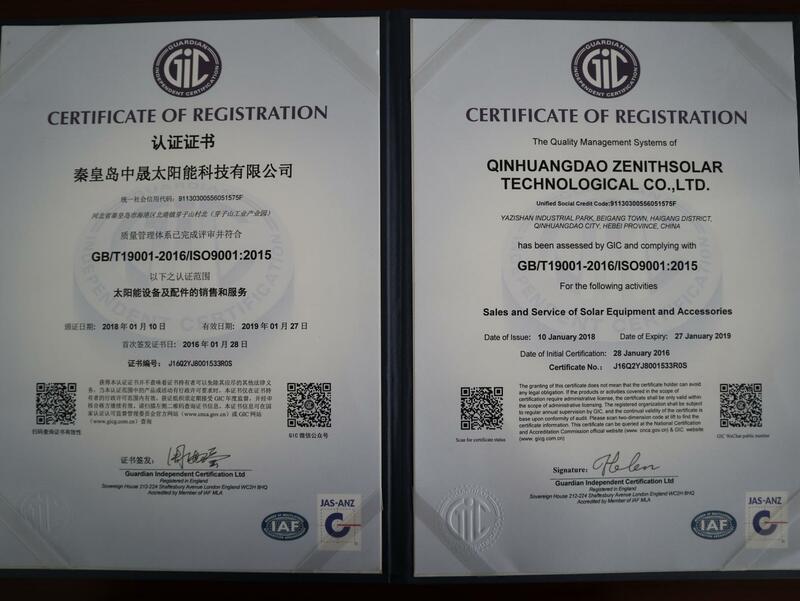 Confident in the quality of their equipment and processes — Qinhuangdao Zenithsolar Technological Co., Ltd. has opened their doors to an independent third party inspection service provider. 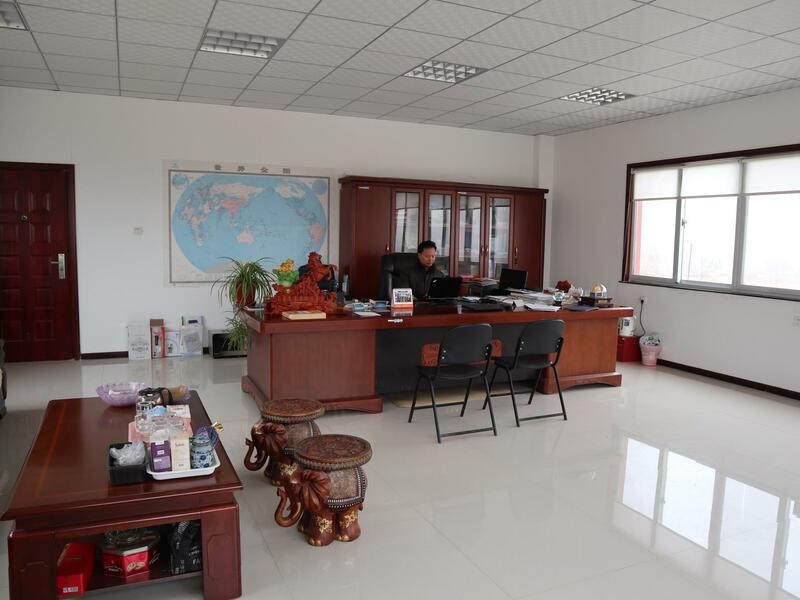 There are 3 foreign trading employees in the company. 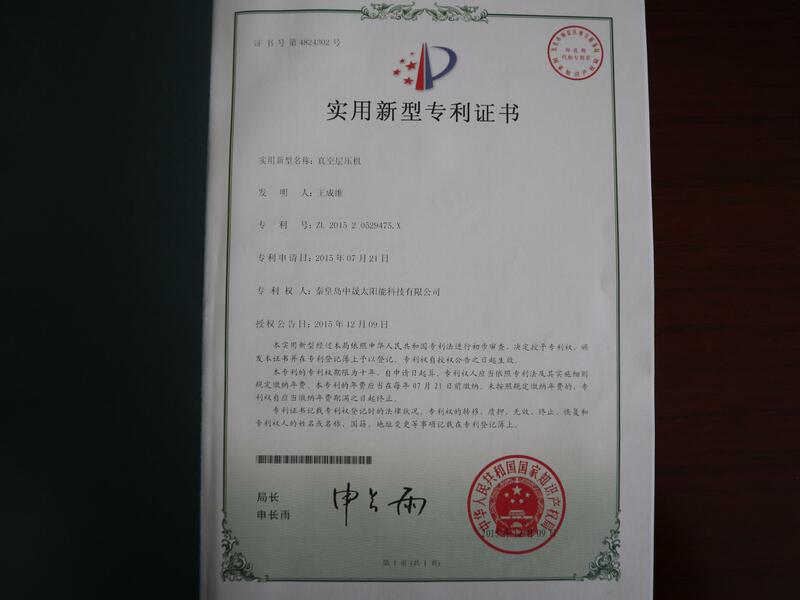 There are 3 R&D engineers in the company. 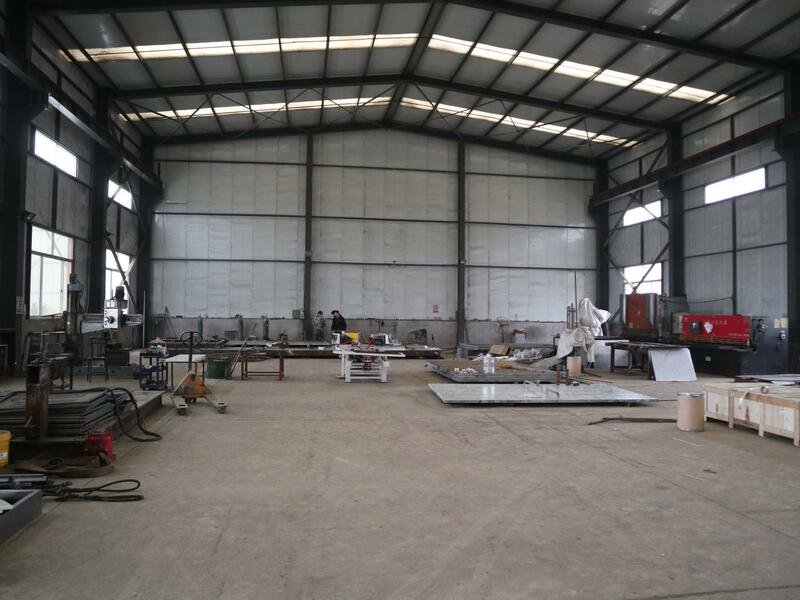 Wind Power Equipment, Electronic Industrial Equipment, Optical Cold Processing Equipment,etc. 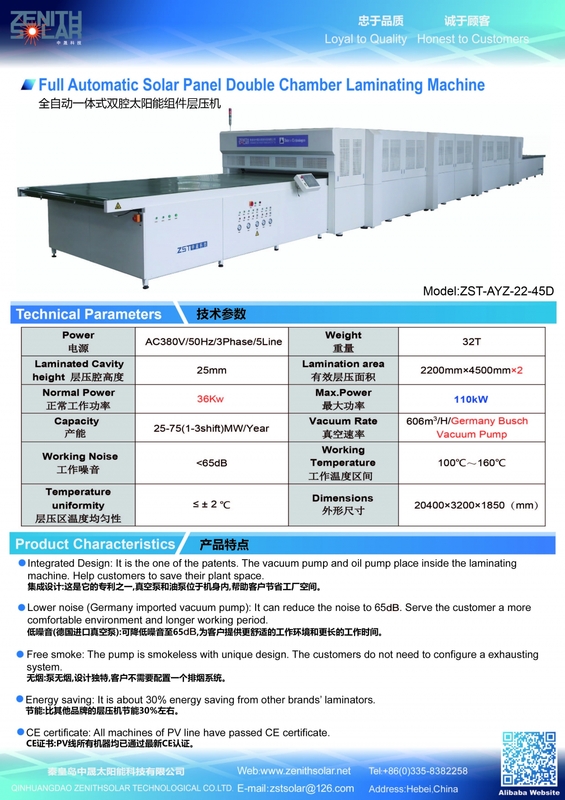 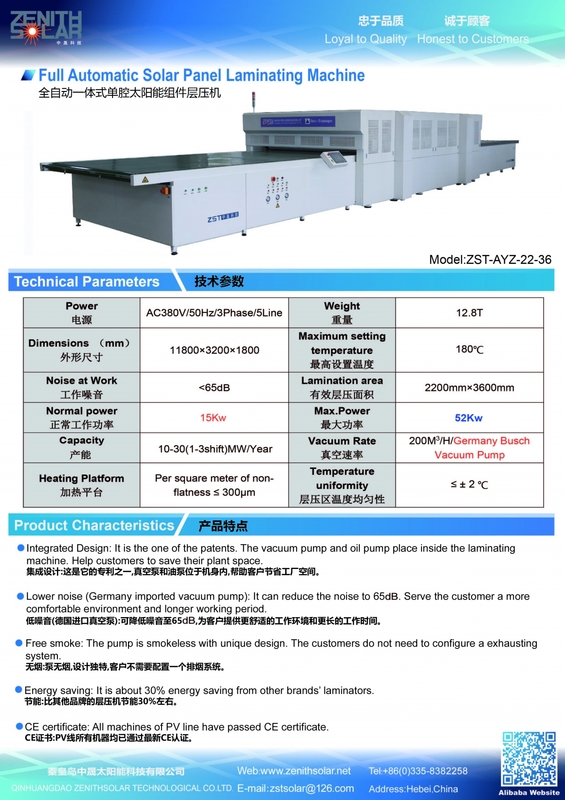 Intelligent Integration Solar Module Laminator & ZST-AYB-X-Y (X05-25; Y:05-45), etc. 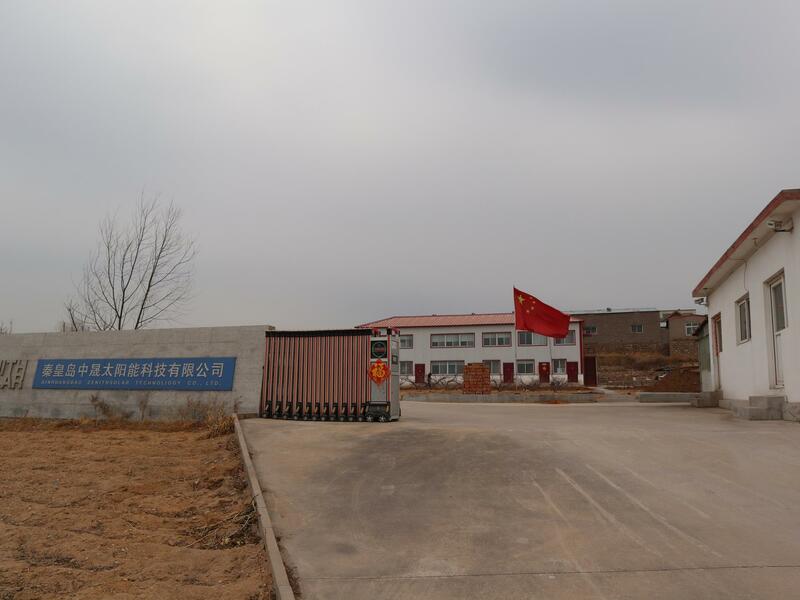 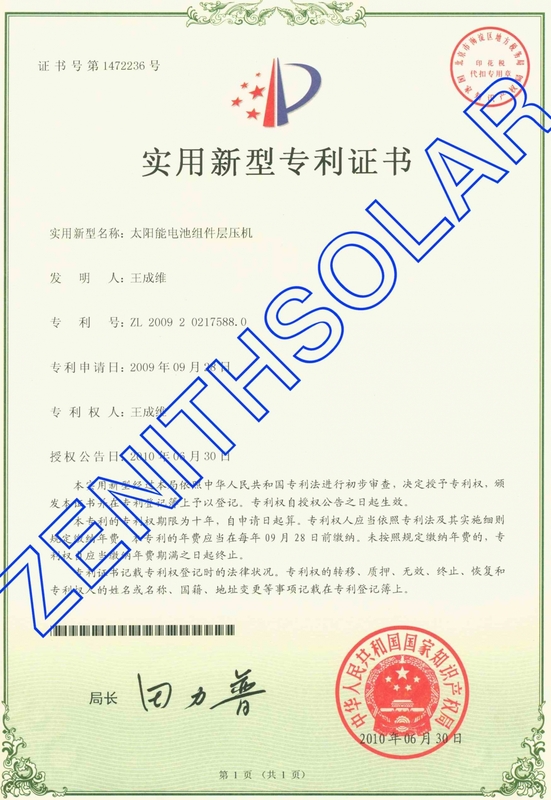 Qinhuangdao Zenithsolar Technological Co., Ltd.is established in 2006.It is located in Qinhuangdao, China which is 230km from Tianjin Port. 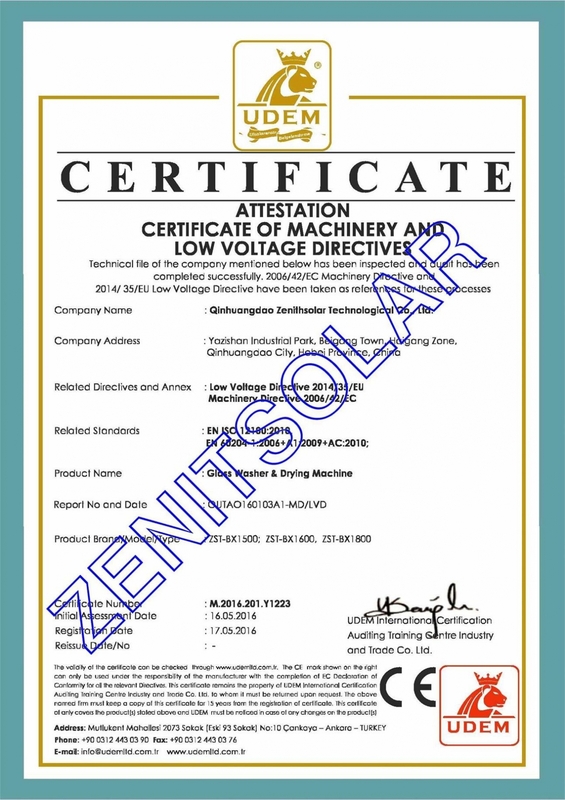 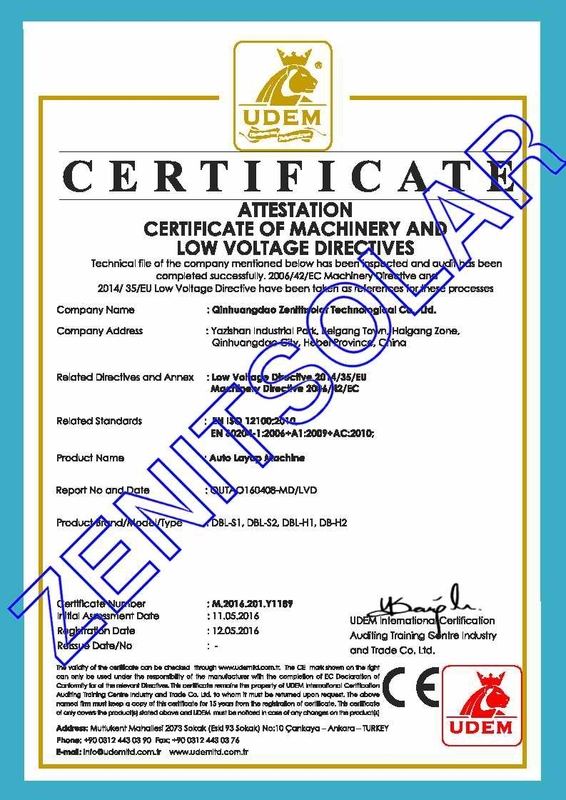 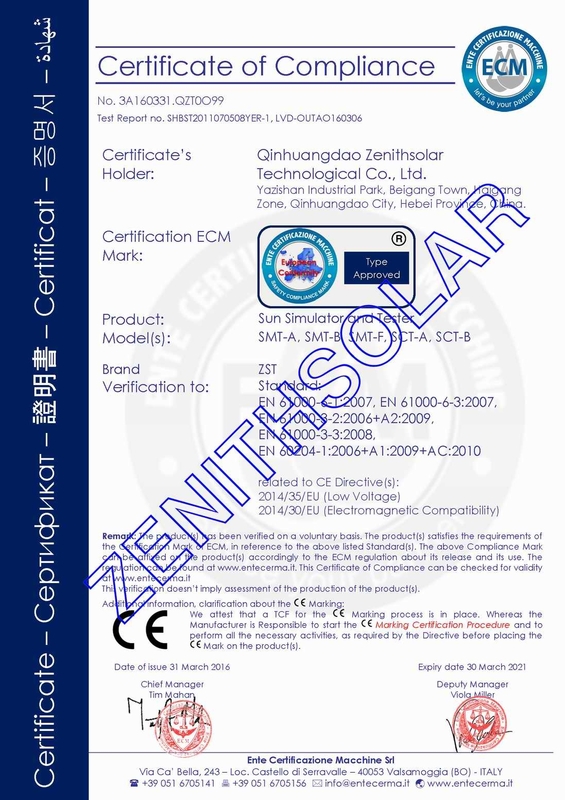 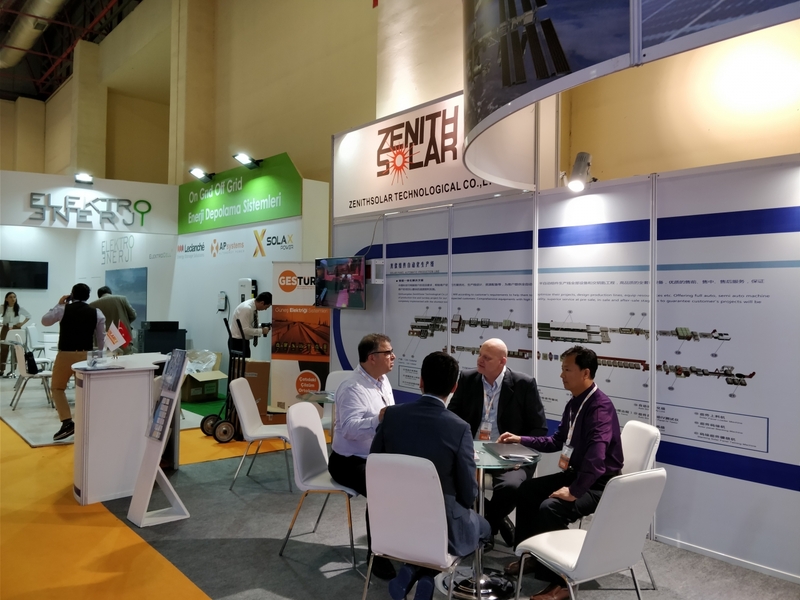 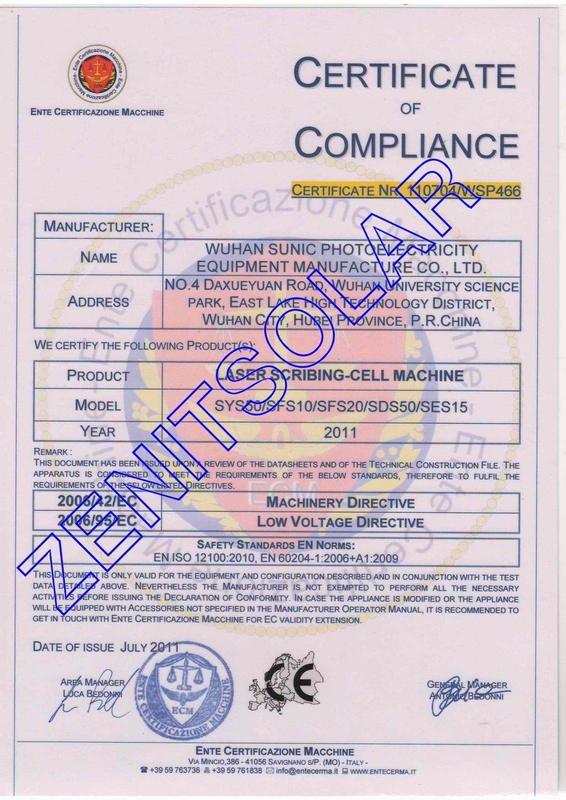 Zenithsolar is a high-tech enterprise in the field of PV production equipment for the solar module manufacturing. 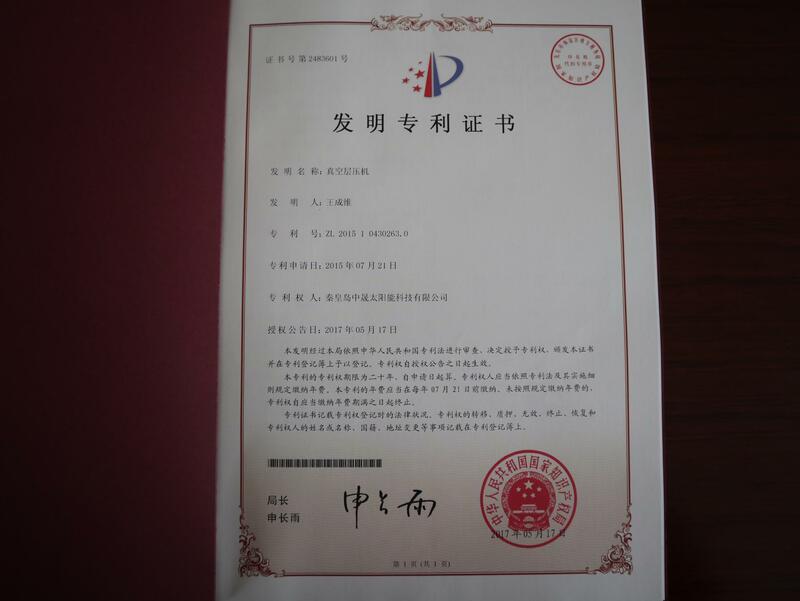 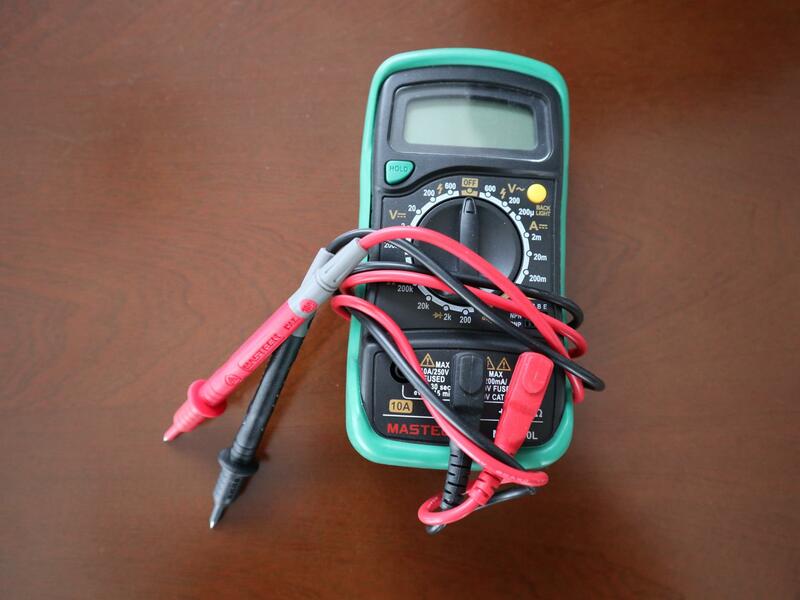 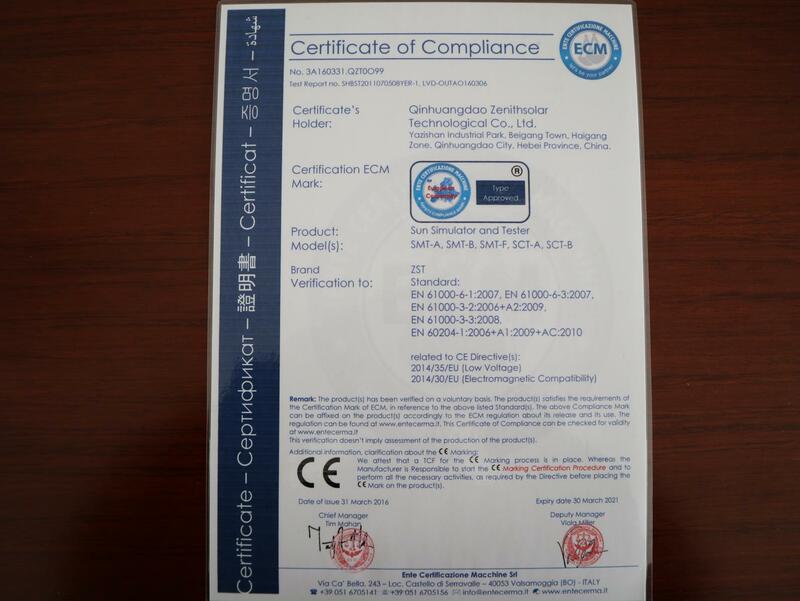 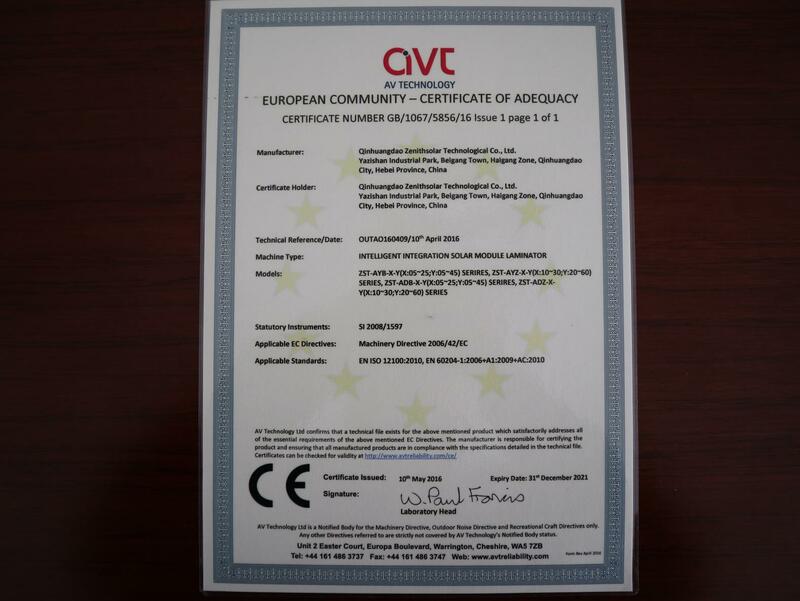 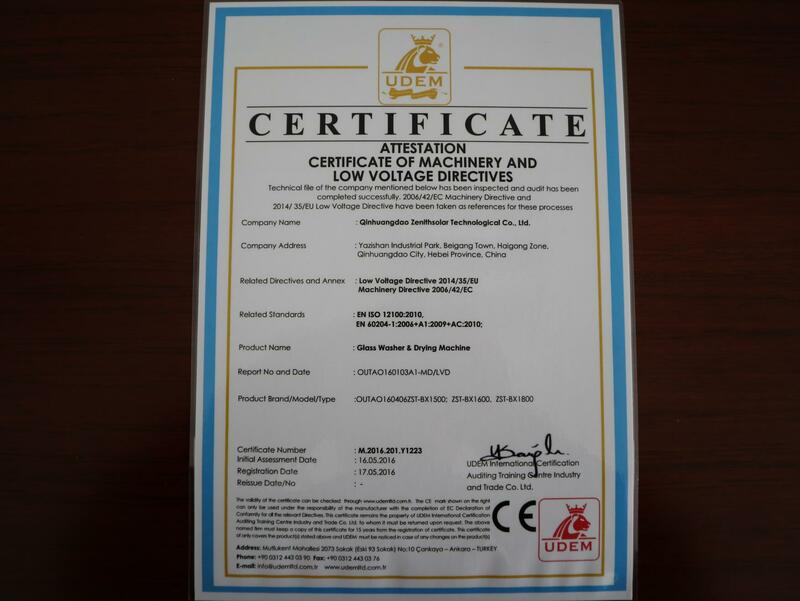 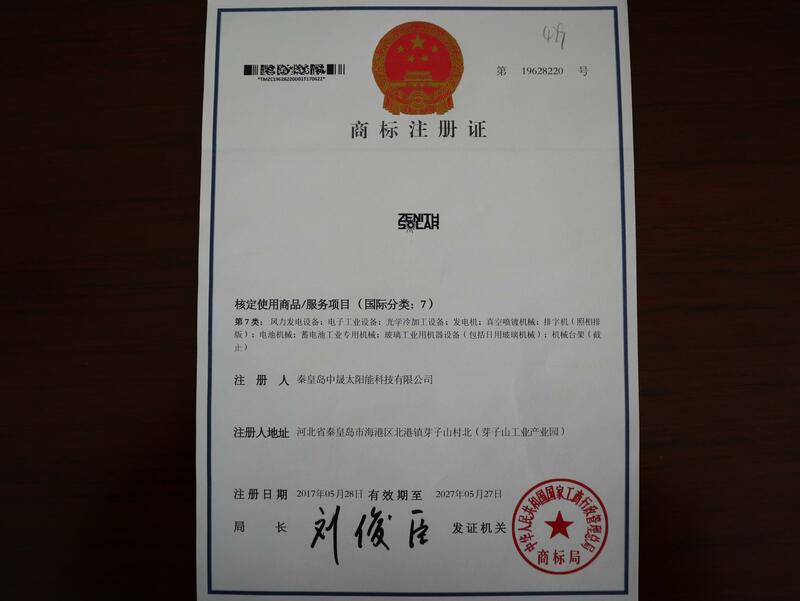 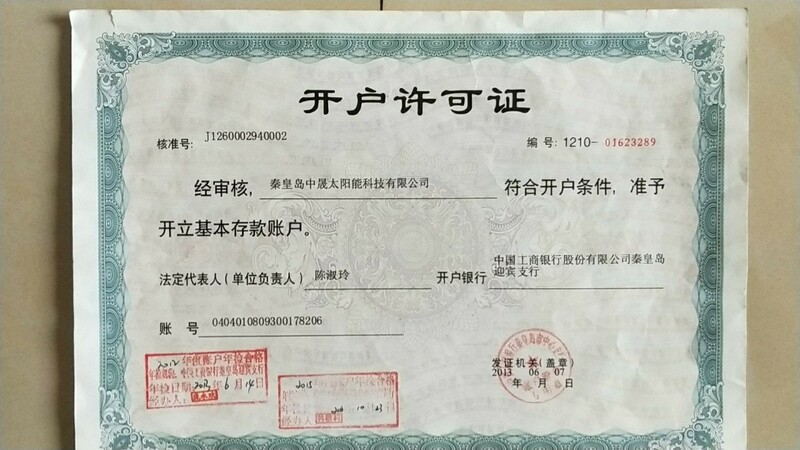 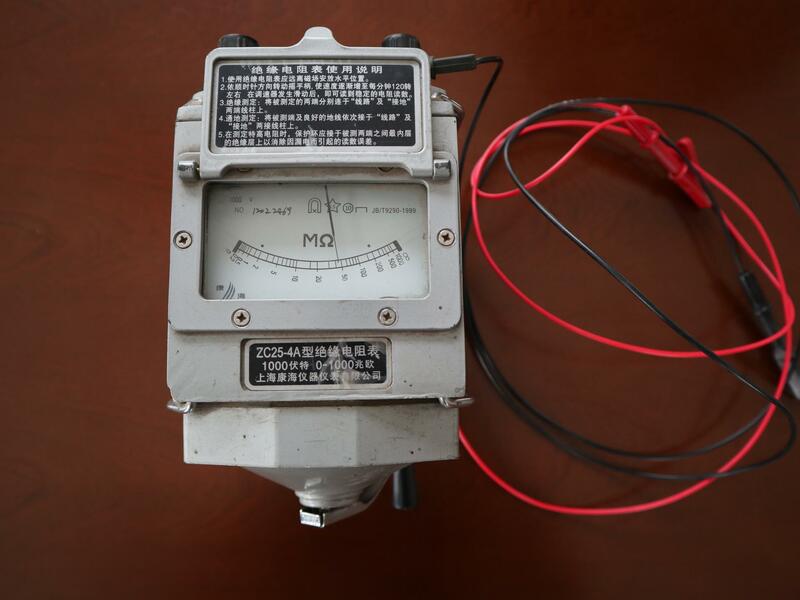 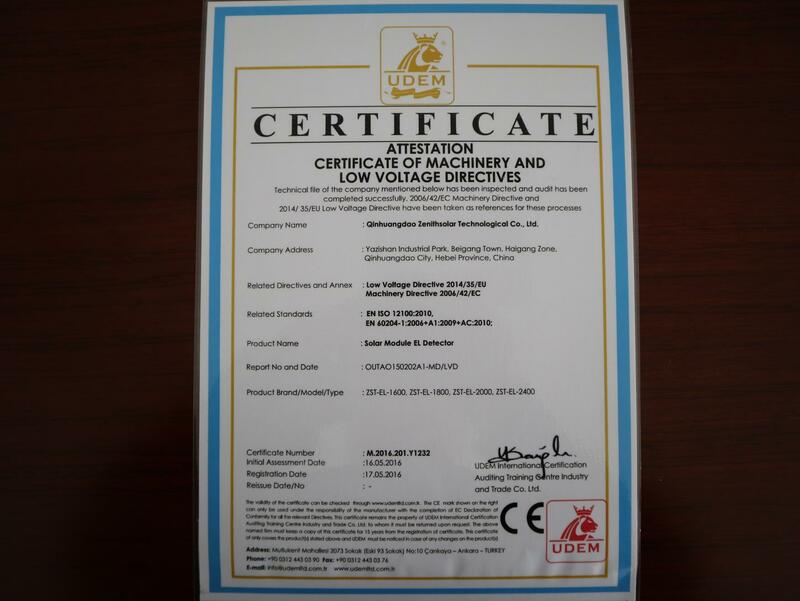 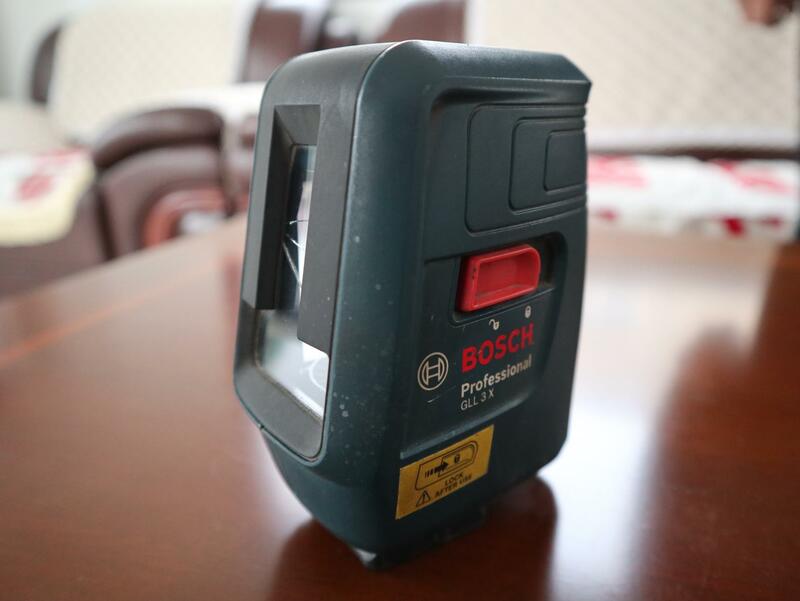 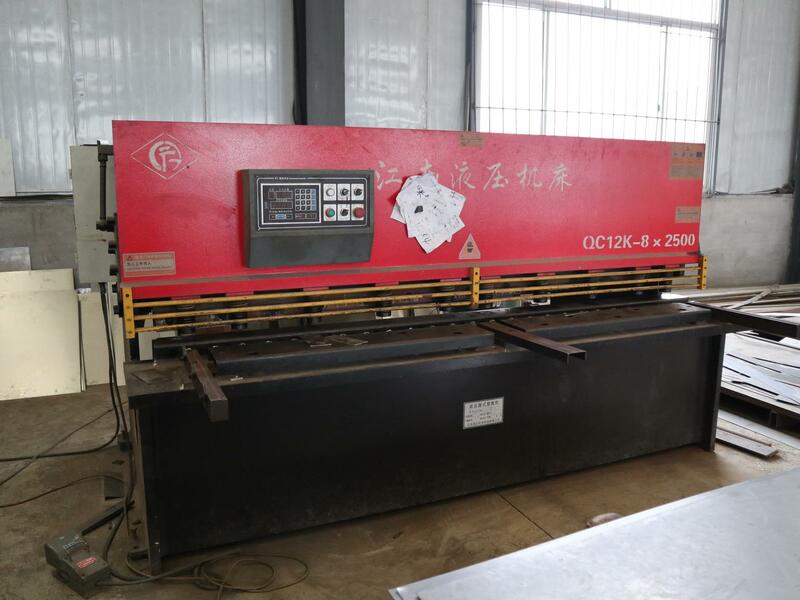 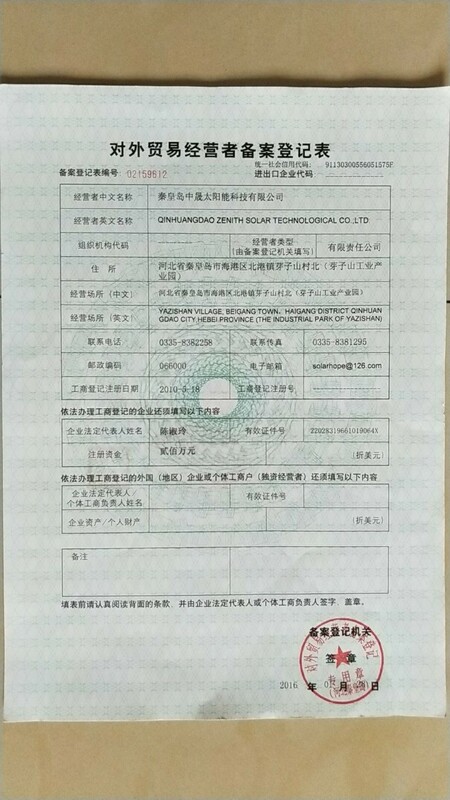 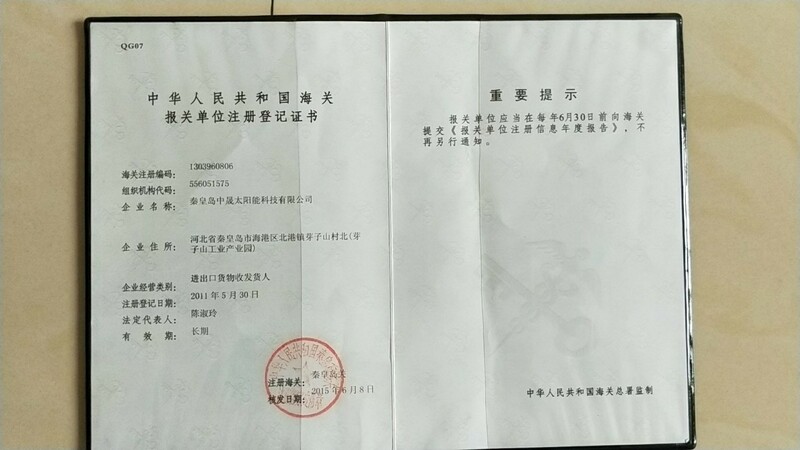 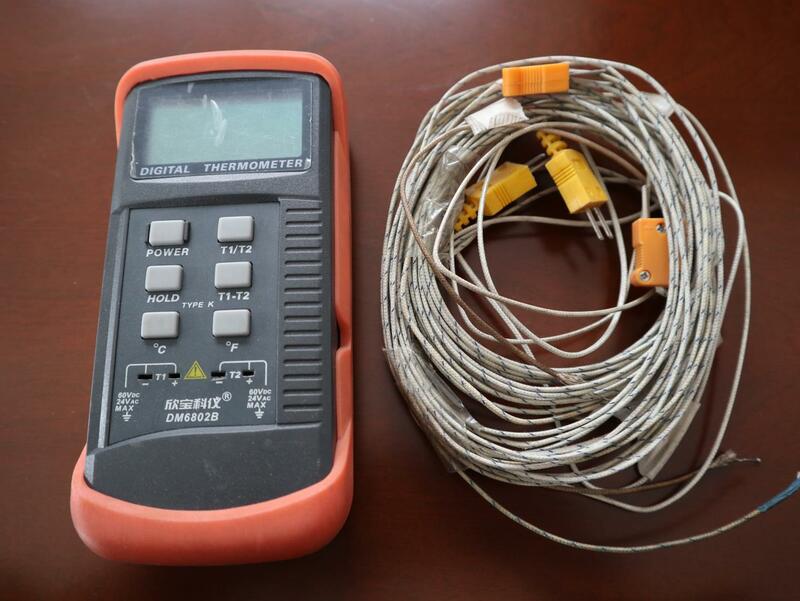 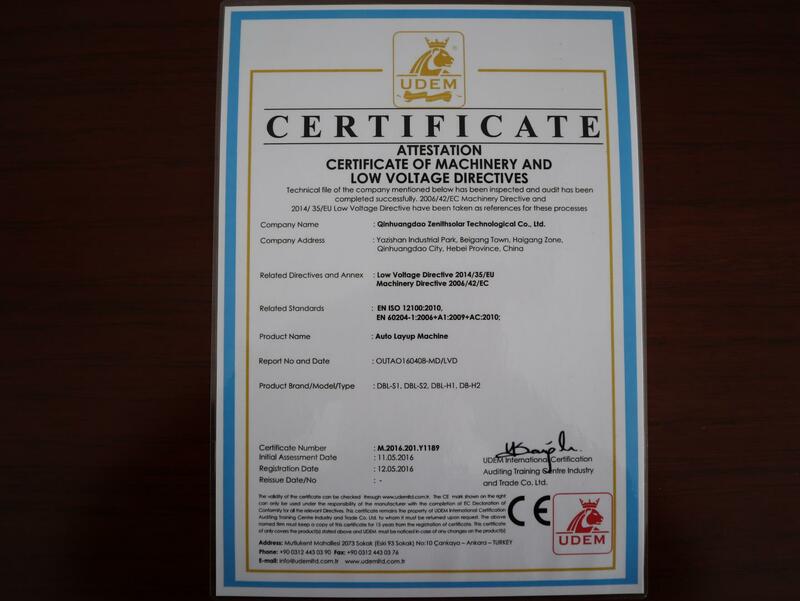 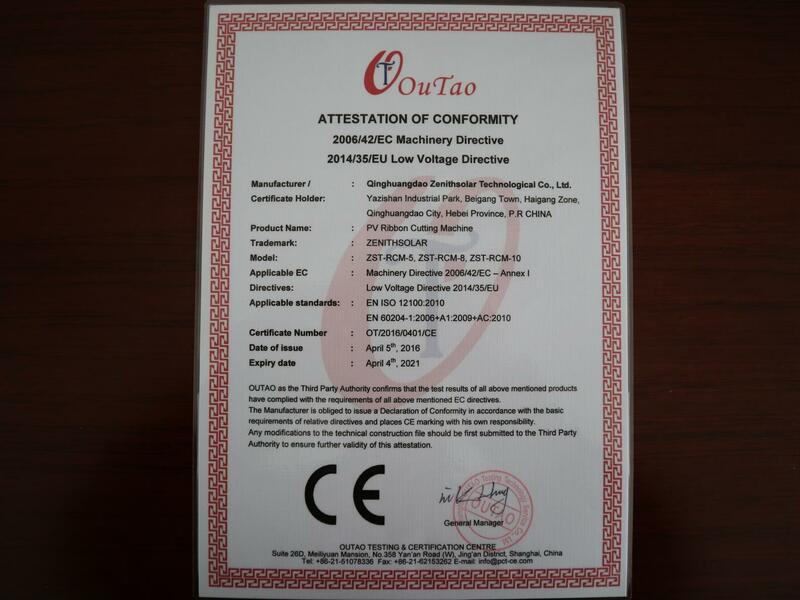 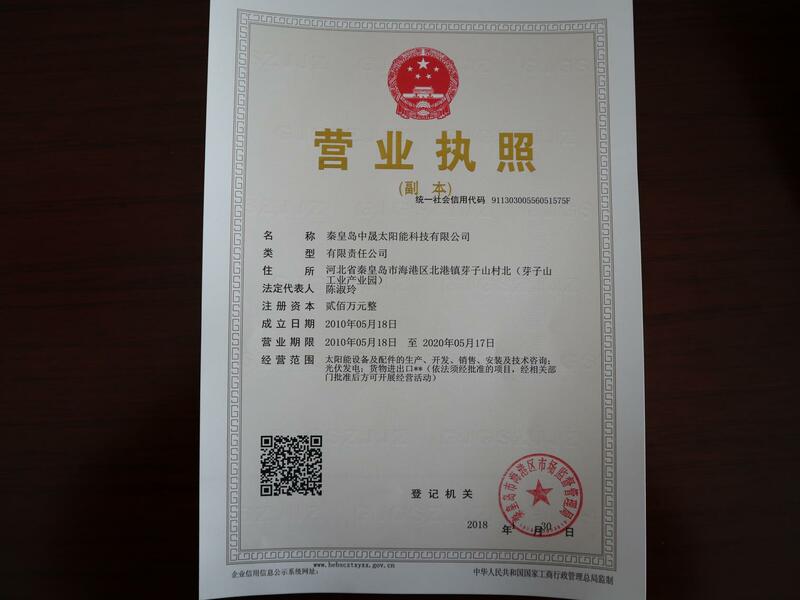 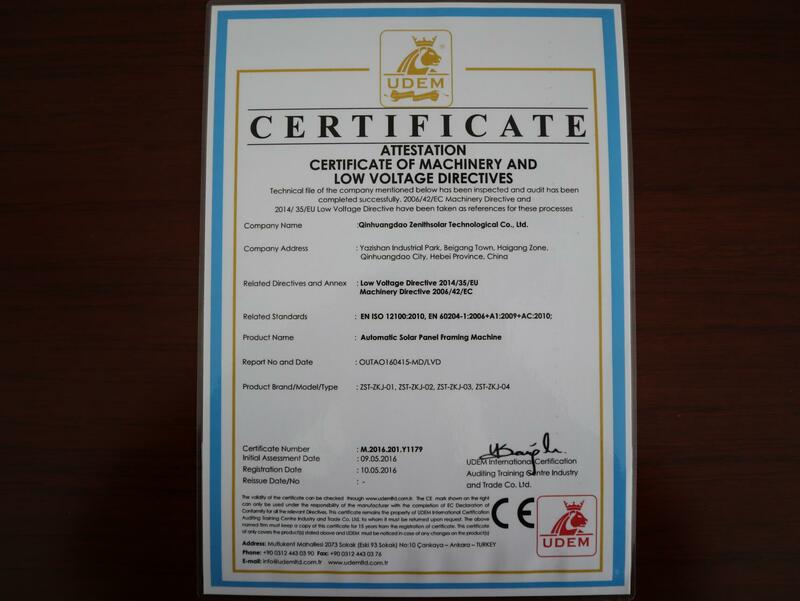 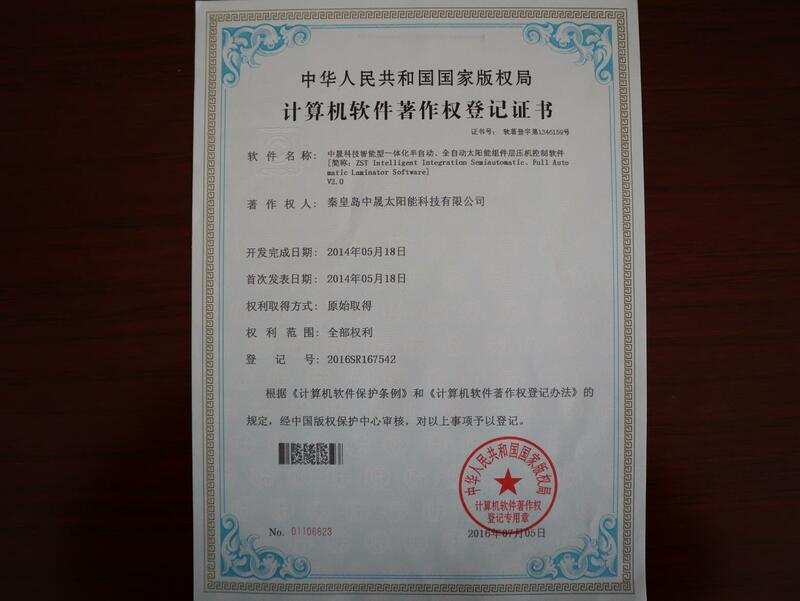 The equipment have passed SO9001:2008 and CE certificates as exported requirement. 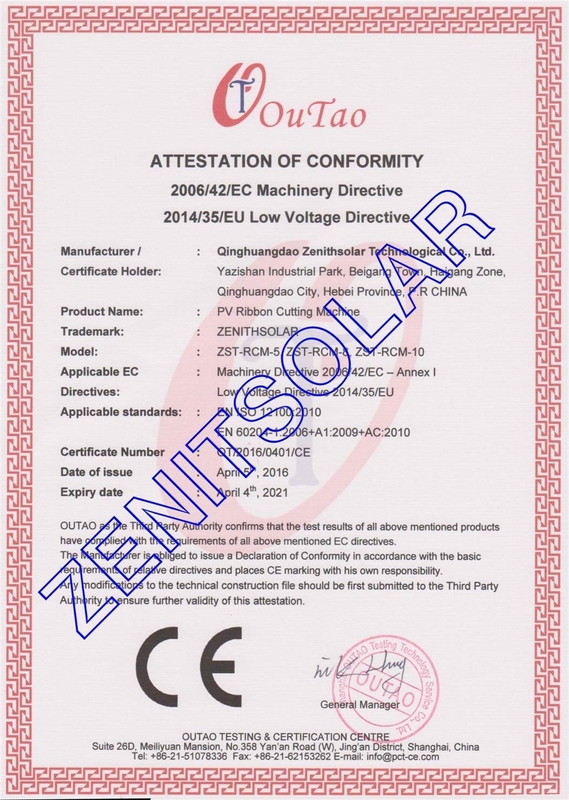 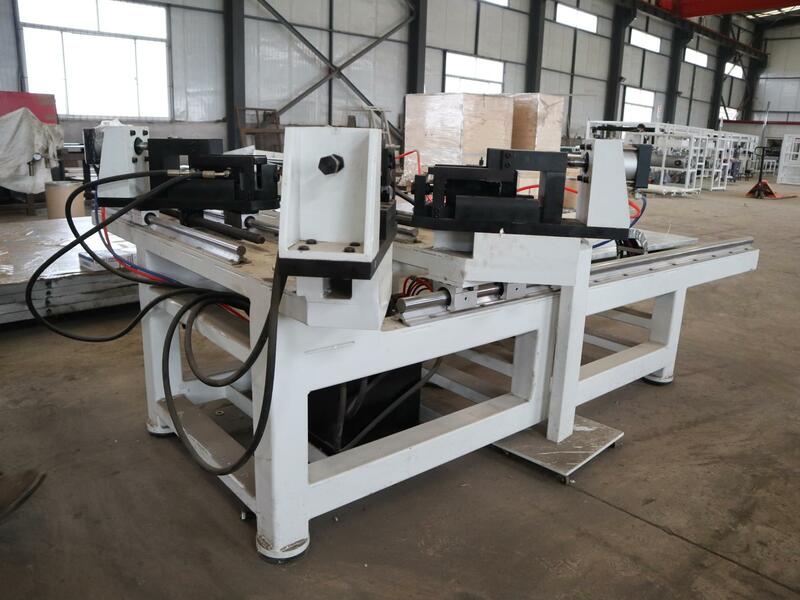 Zenithsolar has more than 12 years experiences in solar module laminating machine and the production line. 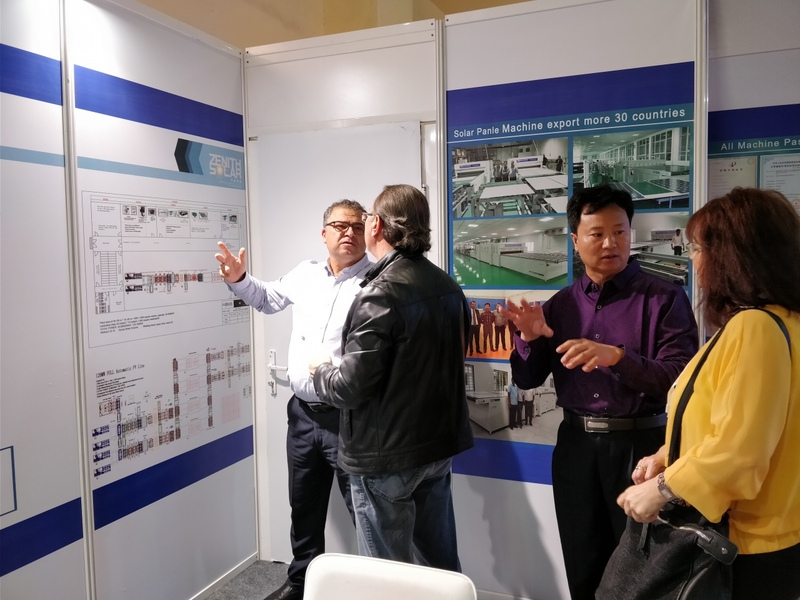 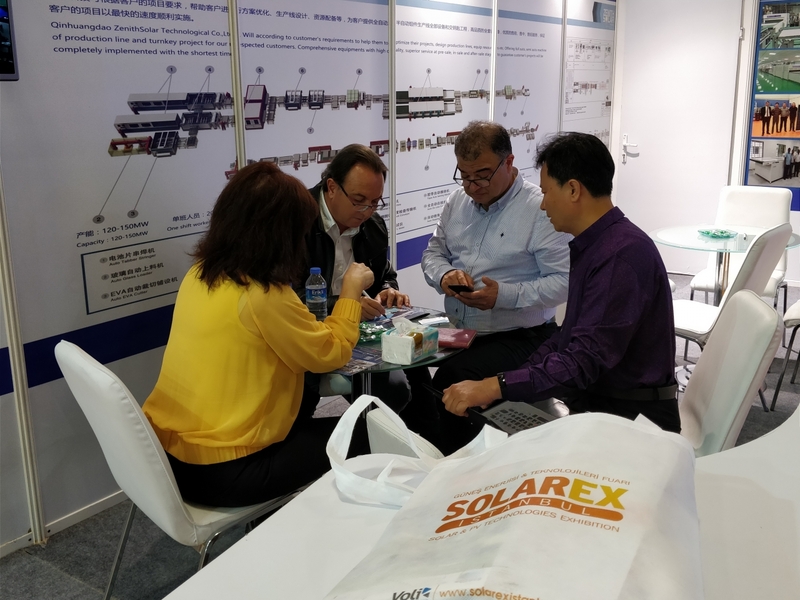 Our clients distributed in 32 countries, such as USA, Japan, Germany, Italy, Canada, Korea, Singapore, Myanmar, Slovenia, Australia, India, Indonesia, Ghana, Turkey, Bengal, Morocco and Taiwan etc..Our biggest full automatic line is in Turkey about 240MW capacity. 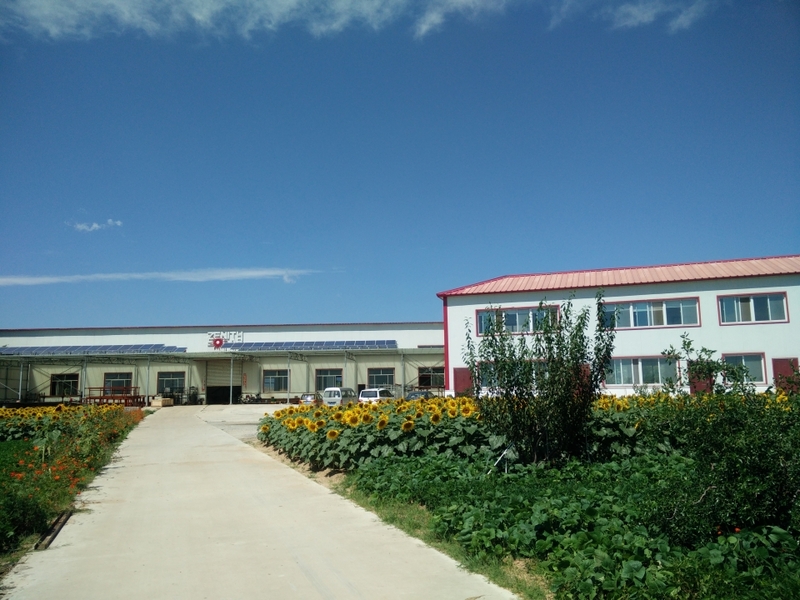 Qinhuangdao Duhuan Trading Company Ltd. is the trade company which directly affiliated to Qinhuangdao Zenithsolar Technological Co., Ltd. 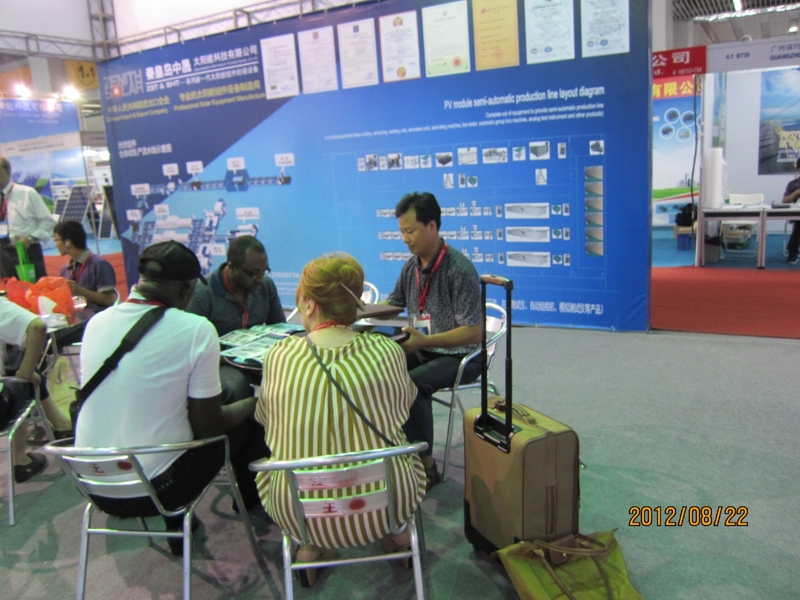 It is in charge of the exporting business. 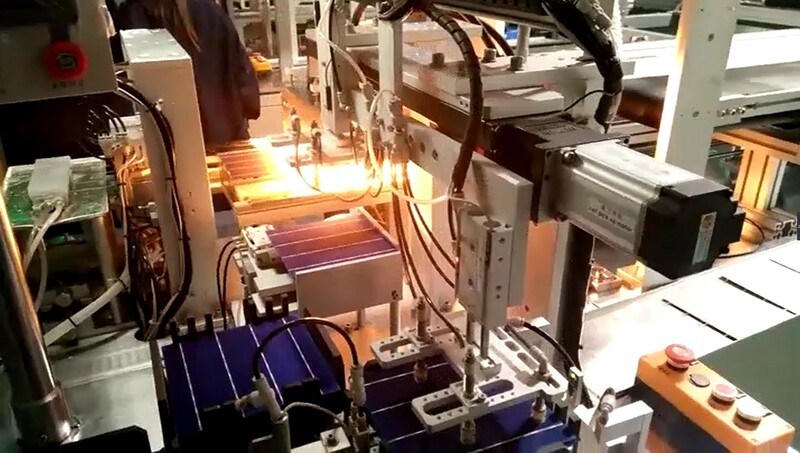 The intelligent integrated full automatic solar module laminator is our main product. 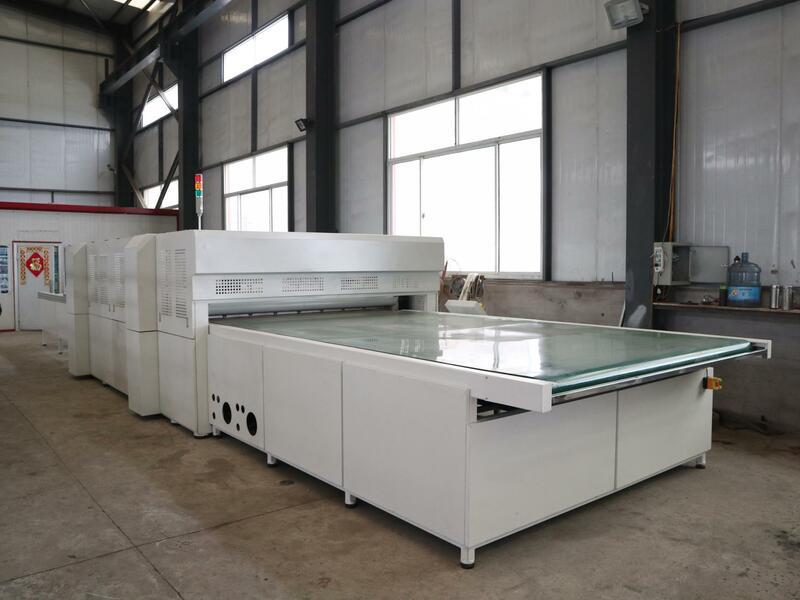 It has optimized to the third generation with high efficient, energy saving, low noise, free smoke and digital control ZST laminator is applicable for every kinds of silicon cells, crystalline silicon and amorphous silicon. 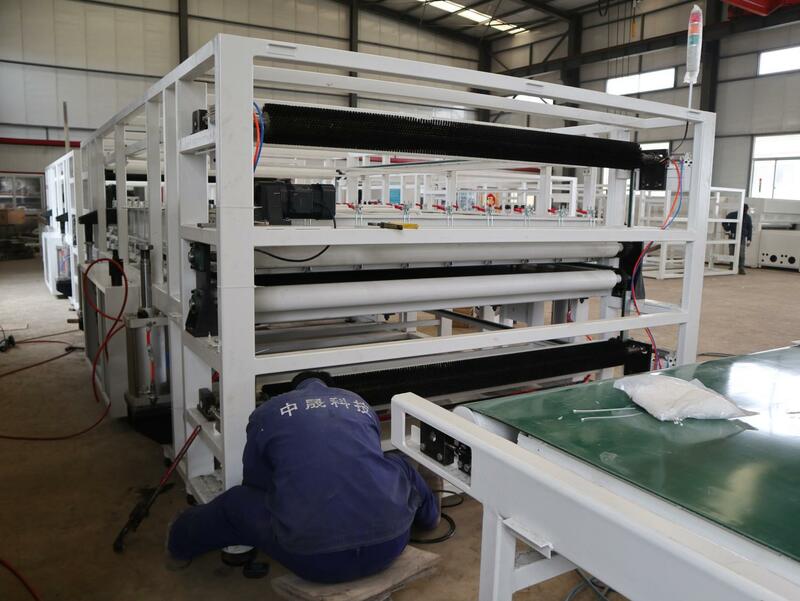 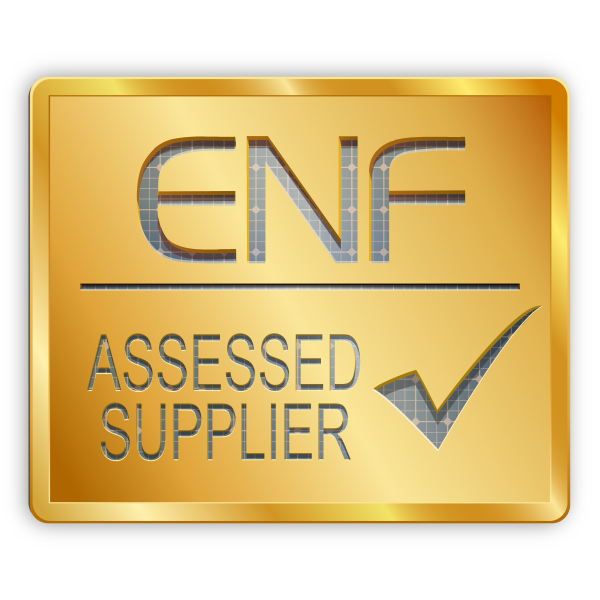 The factory has a mature and professional technology team to meet the requirements of customers’ presale and after-sale. 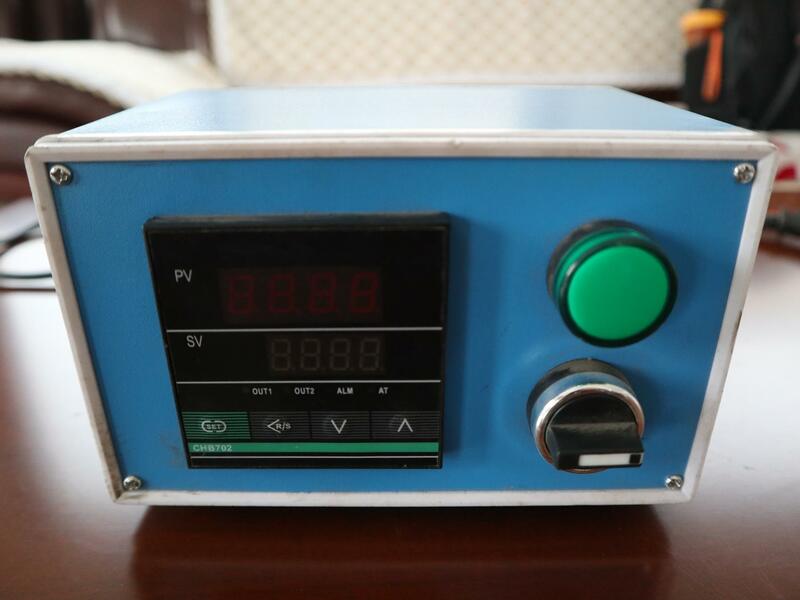 Non-standard products can be customized. 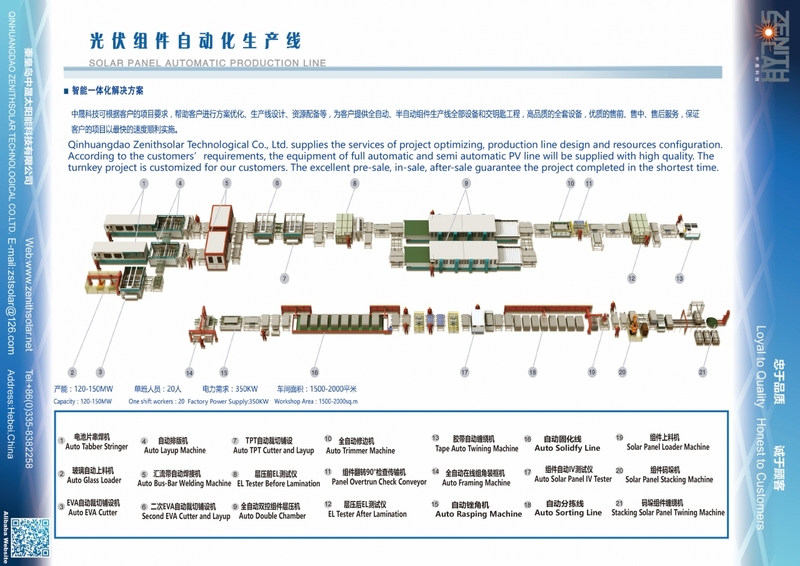 The team can help customers to build an entire PV module production line, such as the plant planning, the equipment configuration,CAD or 3D PV line and etc.. 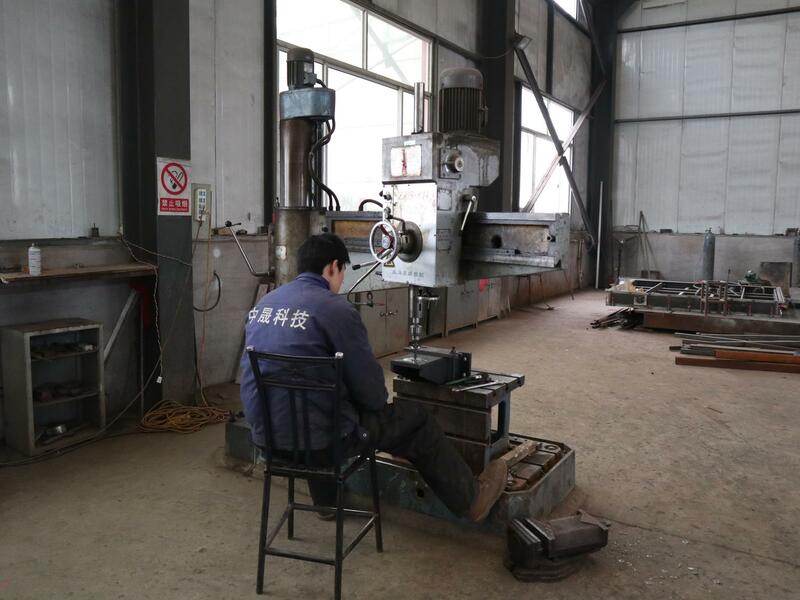 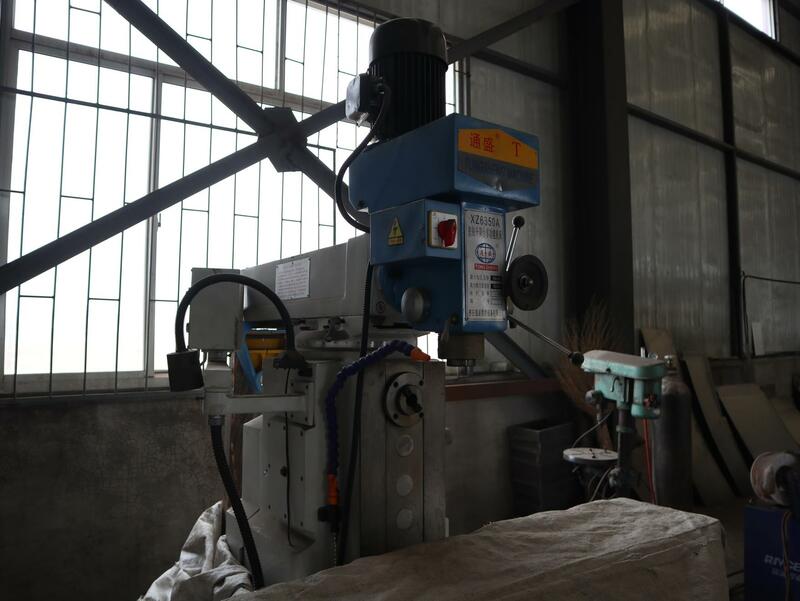 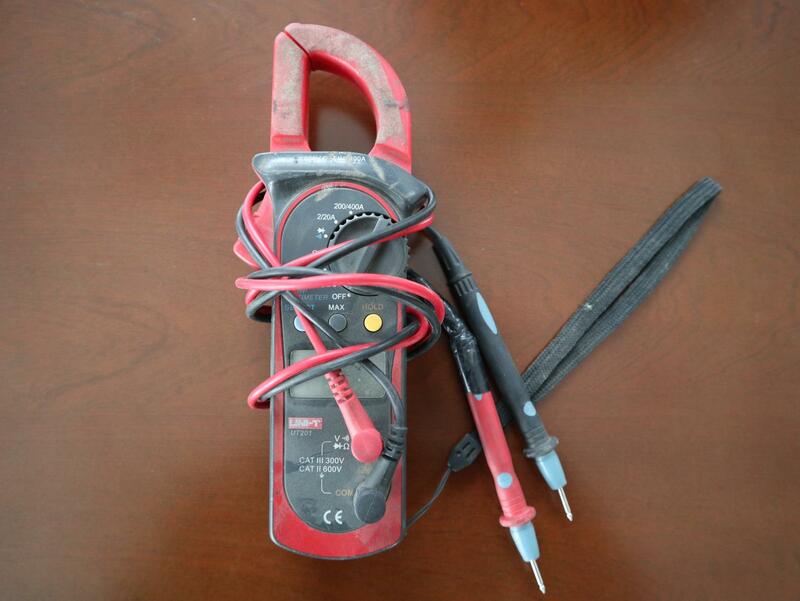 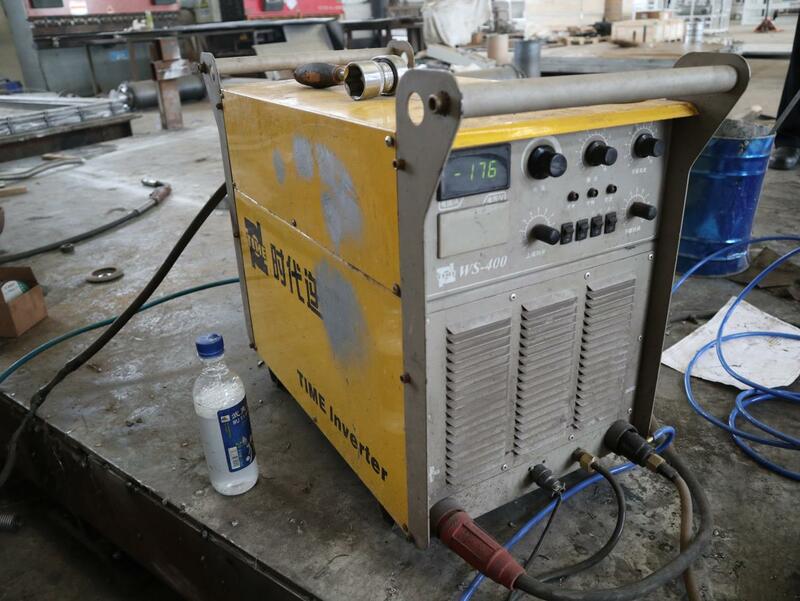 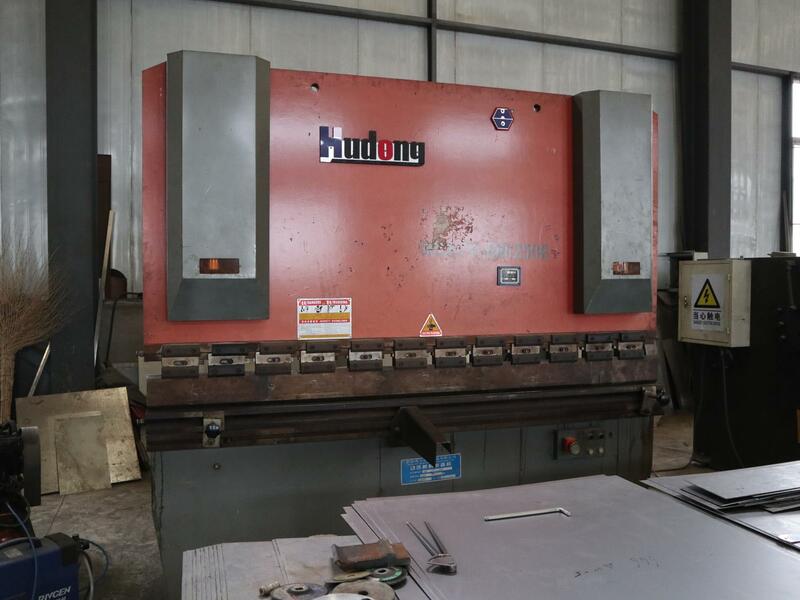 The on-site technology training can guarantee the smoothly equipment operation. 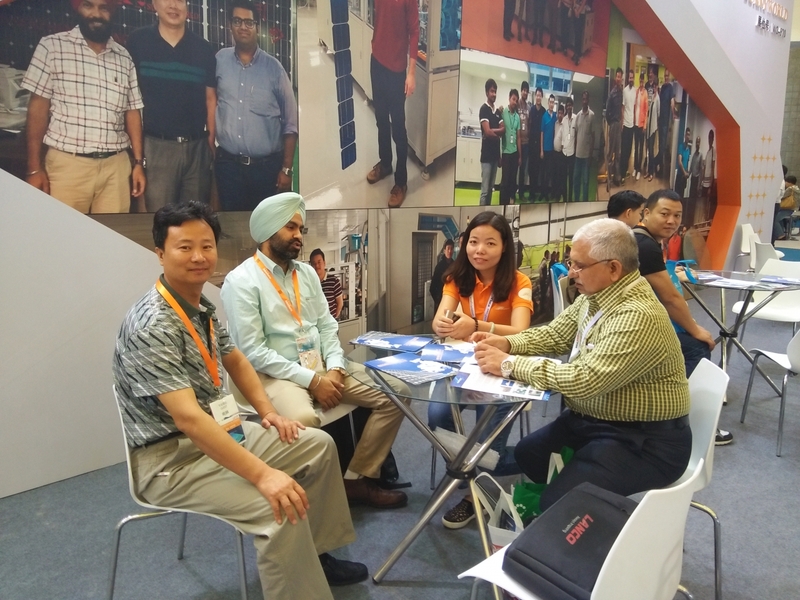 We are looking forward to help the customers to develop a big market in the solar panel field. 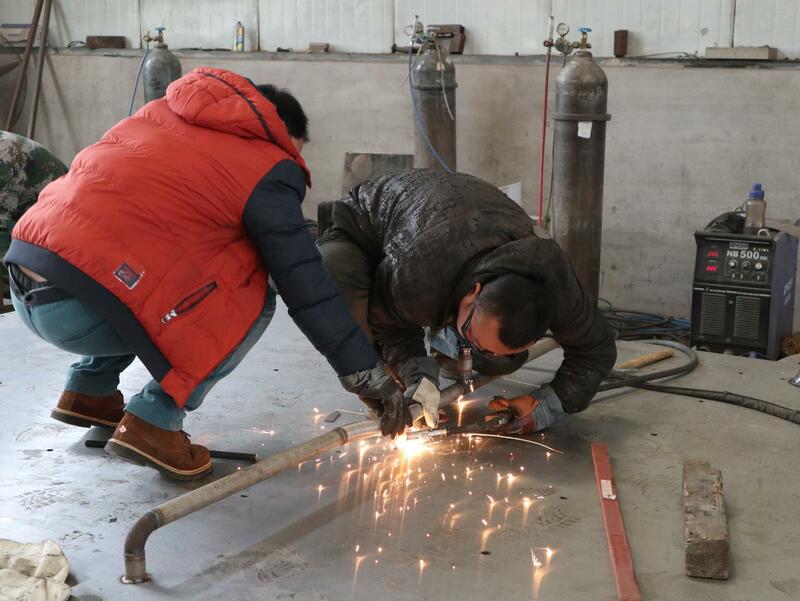 And make a progress together with you!